I have been all over the place today. 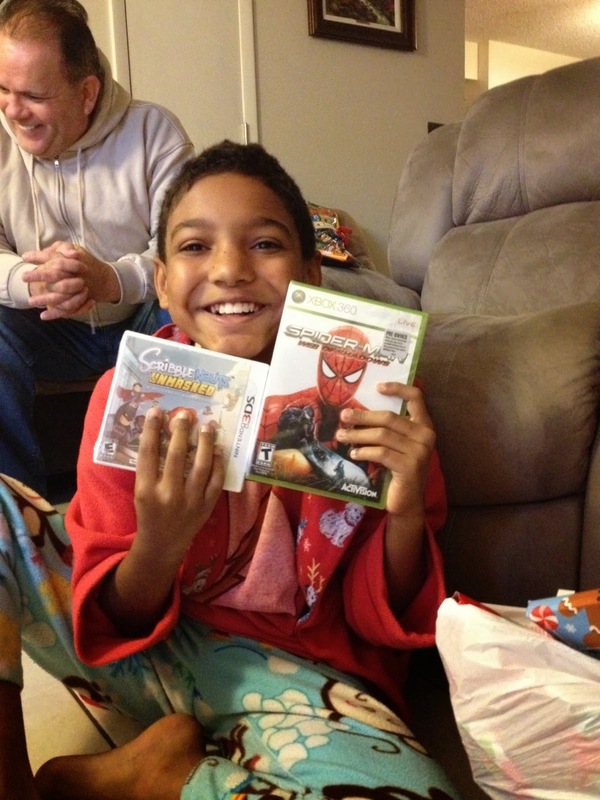 I started out at Casa de Kelly in Lawrenceville, GA, went to my boyfriend's house in Athens, GA, then we went to his parent's house in Anderson, SC, and then back to his house and then I headed home to do Skype/Facetime Christmas with my family. I have always put the bows from presents on my head, I'm weird, it happens. 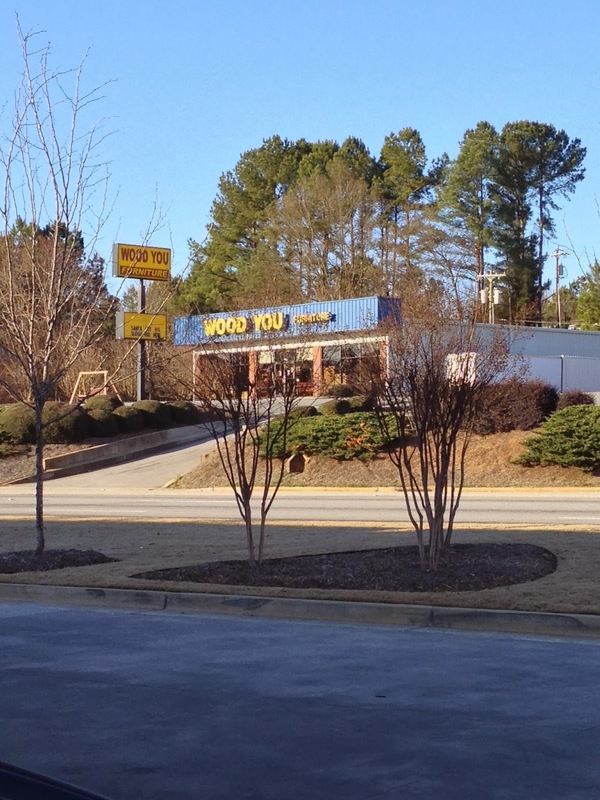 In Anderson, SC, there is a furniture store called "Wood You"... I have seen it before, but figured I might as well take a picture when we stopped across the street to get gas. And here's my Christmas present collection! Not pictured is the totally awesome coat that my boyfriend got me. It is a coat, so it didn't really fit on the bookcase.